Mandarina Bavaria is often cited as a next generation German varietal being bred to compete with the novel hop varieties being grown in the Pacific Northwest. Mandarina Bavaria is one of three “special flavor hops” that were developed by the Hop Research Institute at Hüll, in Germany’s Bavaria region. In addition to the sweet lady Mandarina, the other two hops are Hallertau Blanc and Huell Melon. Daughter of Cascade and an undisclosed male from the Institute’s breeding program, Mandarina was released to the brewing masses in 2012. 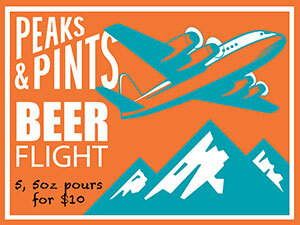 It’s extremely limited and in high demand for all kind of beer styles. Mandarina Bavaria is suitable for the use in top- and bottom-fermenting beer. The unique character can be individually adjusted to existing beer flavor profile. 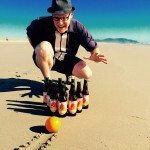 Mandarina Bavaria-brewed beers demonstrate high quality of bitterness and most notably an upgrade of flavor profile. Mandarina Bavaria has a pleasantly fruity aroma revealing a strong tangerine note with slightly sweet aroma impressions. The special aroma notes of Mandarina Bavaria can be carried over from hops to finished beer when dry-hopping technique is applied. True to its name, this hop has a nice round sweet mandarin and tangerine flavor that comes across almost as candied orange that while present, is much more subtle than the citrus displayed by other types of hops. Enjoy Mandarina’s hoppy, fruity, fresh, mandarin and citrus flavors in our beer flight Craft Beer Crosscut 8.14.18: A Flight of Mandarina Bavaria Hops. Pacific Brewing & Malting Co. closed shop in 1914 when Washington state jumped the gun and ratified prohibition six years before it was mandated by federal law. 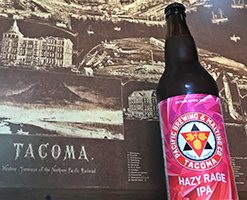 Brent Hall and Steve Navarro were surprised when the name “Pacific Brewing & Malting Co.” was available to tag on their downtown Tacoma brewery, in a 10-year-old building next to Old City Hall — several blocks north of where the original brewery operated. Pacific Brewing & Malting Co. re-opened in the fall of 2014. This week, the brewery released Hazy Rage IPA brewed with Pale and Honey malts, oats, wheat and hops of Comet, Ekuanot, Mandarina Bavaria, Amarillo and Citra. Juicy aroma of pineapple, orange, mango and citrus arrives via double dry hopping and a yeast specifically designed to stay in suspension creating a big cloudy mouthfeel. Firestone Walker Brewmaster Matt Brynildson traveled to Germany and spent several days in the Hallertau region, the birthplace of hops dating back more than 1,000 years. 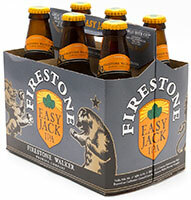 There, he hung out at small family hop farms and worked with the farmers to secure an ample supply of Mandarina Bavaria and Hull Melon — two backbone hops for Easy Jack. This kickback beer spotlights those spicy, leafy hops; plus a dose of oats smoothes out the sip. Last summer Everybody’s Brewing invited the forthcoming Grains of Wrath Brewing out to White Salmon, Washington to brew a collaboration beer. 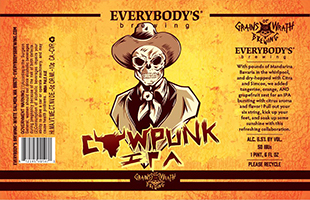 The result was a draft only collaboration release of Cow Punk IPA. Since that time Grains of Wrath opened and the beer that was a hit last year hit the street again. With pounds of Mandarina Bavaria in the whirlpool, and dry-hopped with Citra and Simcoe, the two breweries added tangerine, orange and grapefruit zest for an IPA bursting with citrus aroma and flavor. In 1994, Philadelphia-based blues/hip-hop artist G. Love scored his biggest mainstream hit with “Cold Beverage.” His band, G. Love & Special Sauce has been touring pretty much nonstop ever since. Last June, that included a set on the lawn at GoodLife Brewing in Bend, Oregon. 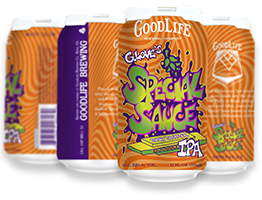 That, in turn, led to GoodLife’s latest collaboration between the brewery and G. Love himself, to make what the brewery calls “the dankest of the dankest IPAs known to mankind.” G. Love’s Special Sauce IPA combines six different types of hops — Mosaic, Idaho 7, Mandarina Bavaria, Centennial, Columbus and El Dorado — for a danky dankster of a beer. Stone Brewing’s IPA version of a Scorpion Bowl cocktail is a brash, Mosaic, Loral and Mandarina Bavaria hop-forward ale that hinges on an assault of fruit that is so bold it borders on being electric. There’s a wee bit of pineapple, Mandarin orange and mango in the middle of the sip — and all the passionfruit — but all of the fun stuff happens in your mouth after the Scorpion disappears. That’s when an intense, tart fruitiness takes over, like you’re sucking on one of those sour candies. The finish is dry at first, but then your mouth starts to water again and that fruitiness comes back with a vengeance.